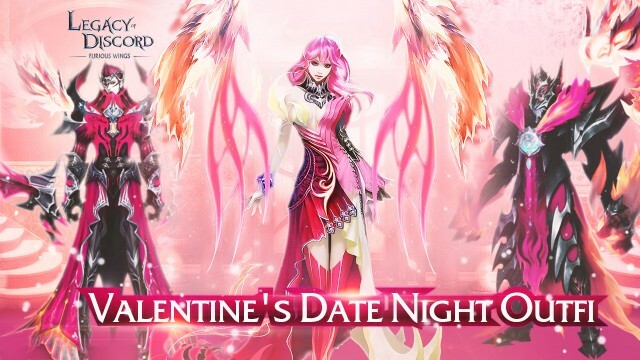 Battle for Love this Valentine’s Day! We have a brand new Valentine’s Day update featured on Google Play!We are inviting all players to come dress for romance in spectacular new outfits while earning tons of rewards by exchanging Chocolate and sending Roses to your friends and loved ones! LoD players can log in to get Valentine's Day Roses and gift them to their in-game friends. Earn points for both giving and receiving roses and earn amazing rewards! Plus Chocolate Hearts will also drop from Dungeons that can be exchanged for all kinds of great game items and resources! Special Chocolate will drop from main story stages during the event period. Players can collect and exchange them for rare items including Ref. Stone, Gold, Pet vouchers, and Wrathwing vouchers in the holiday exchange! Celebrate Valentine’s Day with up to 40% off on new Valentine’s themed outfits! New Wrathwing Valentus can also be obtainable during the event. During the event, players can get free roses from completing daily quests or purchase them from the Valentine Shop. Gift them to friends and get Love Tokens in return, which can be exchanged for rare items in the Valentine's Event Shop. The number of roses that can be given each day is limited, so players will have to carefully decide who to send their roses to. At the end of the event, the new Wrathwing Valentus will be rewarded as a grand prize! The higher your rankings, the better the award. In addition, players that participate in the rose gifting event have the opportunity to obtain a permanent and exclusive Valentine's Day title: Heartseeker! Play Legacy of Discord now and experience satisfying real-time combat as you hack, slash, and blast your way through a fantasy world filled with epic bosses and dazzling loot. 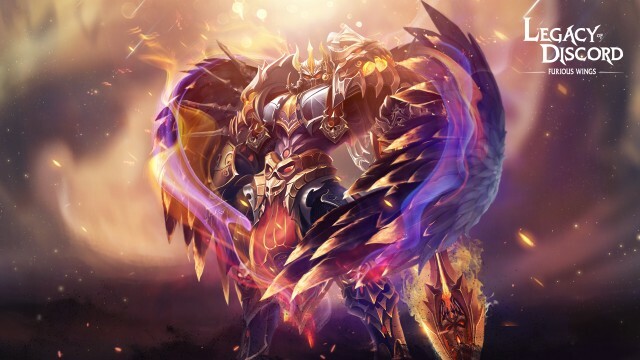 Download Legacy of Discord – Furious Wings now and enjoy exclusive holiday benefits and gifts during the Valentine’s Day celebration!